Alicia Sutton: Welcome. We are broadcasting from the Alliance for Continuing Education in the Health Professions in Orlando, Florida at their annual meeting and I would like to welcome my guest, Rob Lowney. We are going to talk a little bit about creative ways to improve engagement in CME, because that's an area of expertise, and how to add value across all stakeholders in CME. Tell us a little bit about yourself. Rob Lowney: My name is Rob Lowney and I'm the principal and managing director of CMEology. We are a medical education company. All we do is CME. It was founded about seven or eight years ago now and I've been doing from one thing to another in terms of health care and education for the last about 25 years or so. Alicia Sutton: Wow. Well, you and me alike. It's been a number of decades. So, you guys are doing some creative stuff. I was reading about it. One, in particular, was about working with artists who also have a clinical condition to help bring that out. Tell us about that. Rob Lowney: Yeah, we think it's very important to try to humanize what we're trying to accomplish in our education. It's more than just data. It's more than just diagnosis. There's a person behind things. So, for example, in mental health or hemophilia, those are the two areas where we've done it, there are artists out there that do wonderful work and many of them have hemophilia or, even more so, mental health from a bipolar perspective or depression. So, can we find these people, and that's not too hard to do. There are certain groups out there where they have art shows. For example, in certain ways, there is one in New York City, we can work with these different galleries or artists themselves and they'll be glad to provide us with their art. We pay them, we compensate them in an appropriate way and then from that what we do is we'd have their art and then we can use them across all of our meeting materials. So, if we do a live event, for example, how do we humanize that? How do we get people to want to go? How do we engage that "hey I'd like to be here.”? So, it is pretty straightforward. We can take that art and then we can use it on our invitations, on our syllabi, across all of the other meeting materials and, if we want to, we can include that, depending on what we're trying to accomplish, in our online stuff as well to try to humanize that. Then the artists will, a lot of times, provide us with their background, a little bio, if there's anything they'd like to convey in terms of advocacy or different kinds of things that they're trying to accomplish we'll include that in there so the artist feels great and we feel great as well because we're doing something for them and adding value to our education. Alicia Sutton: That's fantastic. I can imagine when you have an artist portraying the emotions, the feelings of that clinical condition that it's quite personal. Rob Lowney: Yes, and the artists love to see their own stuff. They're pretty happy about it. It's pretty fun to do and it's exciting. We think it elevates the level of engagement that we do in terms of trying to get people to be interested in attending something that we're trying to accomplish. Alicia Sutton: Right. Here's another one that I thought was kind of cool to hear about you guys using, trivia in your CME meetings. Tell us about that. Rob Lowney: Well, these are all things that aren't expensive to do. So, first of all, we have to look at like what could do. It was education; budgets aren't like the way they used to be. So, what could we do to get people to engage but do things differently or in a neat way? For example, we've probably all been to the movies. There are things, when we go to the movies that we look at ahead of time while we're waiting for that movie to start, what's happening. So, there's trivia. There's interesting things and we all pay attention to that while we're waiting for that movie to start. We never seem to take advantage of this time in education. So, before a live meeting starting, there are 15 or maybe 20 minutes; doctors, nurses, other healthcare professionals, they're waiting. That's an opportunity to educate and to provide what we're trying to accomplish. So, what we do is we provide education in terms of trivia and fun facts within that time frame about the specific disease state that we're trying to accomplish. In addition to that, we'll then take that, and we'll add fun facts not related to the disease state as well. Those fun facts might be, for example, if you're in New Orleans or if you're in Chicago, they may be something about the city, something interesting that people might not know. It might be something about the sports franchise in the city or maybe a poet or other things like that. It makes it more kind of interesting and those are all interwoven together. So, while people are sitting there it's very easy to do. Anyone can do this on PowerPoint and you can make some simple animations as well. It's fun and learners like it. Taking that 15 or 20 minutes of time that's typically lost and providing another educational moment to try to, you know, and those things we're trying to accomplish are typically aligned with our learning objects. So, we're trying to just do-little things to make differences. Alicia Sutton: Absolutely. It sort of peaks the brain and gets people stimulated to hear the rest of the conference. Rob Lowney: Sometimes you'll see someone see a trivia question and it's an icebreaker. They talk to their neighbor who is sitting next to them, who they may not know, and they may say something about it and that's kind of neat too. Alicia Sutton: It is good. So, sort of the opposite spectrum of trivia and fun, the economic value of CME which is, I'm sure, quite a deep dive into data. Tell us what you guys are doing in that space. Rob Lowney: Well, the economic stuff, our stuff was published first in 2014 and we continue to do that, but what we continue to hear is the value of CME and people don't always know like how do we quantify the value of CME from a quantifiable perspective? We get this a lot from our supporters, how do I show value to our stakeholders who are saying, "I want to cut your budget." What can I do? How do we do that? 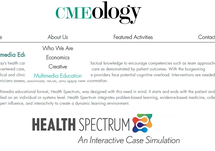 We typically as CME professionals, we look at outcomes. So, there's Don Moore who is from Vanderbilt University and he has these wonderful outcomes and they're great. Level one being participation, level four being competence, but they go up higher and they offer patient health and ultimately beyond that. The point of the matter is many stakeholders don't know CME jargon. They don't know what to do. So, what we have decided to do, and we try to do and now we've been able to do it, is to develop something that is universally understood. So, we all know about money. If we can tie the value of what we're doing from a money perspective in an appropriate way, we can make a difference. Basically, we know, for example, if we reduce the relapse rates in multiple sclerosis or depression or if someone has COPD and we can reduce exacerbations, we can save money. How can we do that? We use a proprietary model and it's, I shouldn't even say it's proprietary because anyone can do this, but we use probabilistic sensitivity analysis. We could run based on how many learners do certain things. We can project through this mathematical model how many people are likely to make certain changes. When we know how many people are likely to make certain changes, what that can then do, we can quantify and say, based on this specific continuing educational program, if it's on multiple sclerosis or diabetes, because we know, for example, if hemoglobin A1c levels go up, that's correlation to more expenditure from the health care system and, ultimately, that can show, using probabilistic sensitivity analysis, that we can also mean there's cost averted, which is gigantic. Now, non-stakeholders know that as well and because of that we've actually provided this data. It's been published; it's been in the Wall Stress Journal online, CBS News, MoneyWatch, Boston Globe, and many others. We're also happy to say that certain budgets that may have been cut, we've been able to share this information and now those budgets haven't been cut, so we've saved certain groups' educational budget which will ultimately mean that we get more funding and more opportunity for education. Alicia Sutton: That's very interesting. You mentioned that the original publication is 2014? Rob Lowney: I believe so, that was in JSEP. We did another one in 2015. We are currently doing another publication now which combines some of that economic stuff with looking at the TELMS model and trying to validate that as well. Economic part is only a portion of that. We do feel that research and trying to convey what we're doing from improving patient health, changing performance, and enhancing patient care, what we're trying to do is get that word out there to reach the CME community and beyond. It might even be beyond that. Maybe even posters at national meetings both for the CME community and for the non-CME community as well. Alicia Sutton: Right, and for the viewers who are enjoying this interview with you, we'll put the link in the write-up. They can look below and see the link for them to research or the publication from JSEP. Rob Lowney: That’d be great. Alicia Sutton: That's terrific. You have a health spectrum design that you guys are working on. Do you want to share a little light on that? Rob Lowney: What we know is that clinicians get bombarded with so much information. How do they assimilate it? How do they remember it? How do they recall it? There's some data out there looking at, you know, education from a knowledge performance or behavioral change. For example, there's data out there, it's limited, but what we've tried to do, from a health spectrum perspective, is look at that data and come up with something that's going to make people more engaged. Because if they are more engaged, and they're learning, and they're actively involved with the education, we hope that their retention is higher and that, ultimately, has a nice effect on behavior change, which we've seen it does looking at the data, as well as we're helping, ultimately, performance. So, what is health spectrum? It can be used across any disease state but, basically, it's online multimedia case studies. What it does is it combines problem-based learning with evidence-based medicine, collegial as well as expert opinion with technology, with the latest of technology to basically increase the bar in terms of learning. What it does is it involves clinicians in the learning process. For example, it looks like a patient chart. So, in the patient chart, you have different tabs. It starts with a patient video. It can be a real video with a real patient or a standardized patient and then after that video we typically do two cases. After that video, there is a variety of tabs; there's a history tab, maybe exams, maybe imaging, depending on what you're trying to accomplish. There's management with clinical pearls at the end, what do you want to remember right? Also, references with hyperlinks. Within each tab then, there is the evidence. So, we have the base background but if we click on a highlighted word, up comes the evidence. The evidence is then woven into the actual instructional design because people don't always think evidence first, now what should I do? We're talking about the patient first. The patient needs to come first; this does that. In addition to that, we have polling questions. We have our faculty video who is introduced to patients and there are typically three faculty videos, they are short within this, introducing the patient, going through management and what do we need to remember at the end of the day. So, in addition to that, there's also animated slides where people can actually hear a narrator go through the slides, so the data actually now becomes alive. We are actually engaging people with the data itself and people have to click through these different aspects of the program to complete it. So, by being engaged and being involved with the activity, the retention increases and, ultimately, we can have a better effect on behavior, knowledge, competency and so forth. If you look at what the learners say about it, I think that's the question. I would say 99% love it. They are very, very happy with it because we've asked what do you think, what should we do differently. Alicia Sutton: It feels like a real-world situation on how they treat their patient file. Rob Lowney: It's similar to a simulation. We've done it in a little bit different way using technology and it's usually like, I think I can absorb the information more and make the data come alive. I like the patient aspect of it. They're real world situations. One learner, in particular, said this is the way all education should be. Not that everyone is going to say that, but the overall response from learners was very, very positive and continues to be positive because we've done this about five or six times and it's something that learners like. While it's a little bit new and different, it's not that radically new. Alicia Sutton: It sounds well-constructed in a logic way. Is this available on your website that somebody could go see? Give us that address. Rob Lowney: Yes. It's www.CMEology.org and it's on our website. Anyone can take a look. Our goal is we think it's helping the physicians and healthcare professionals improve what they're doing, and they're being engaged. But at the end of the day, it's all about the patient. We're hoping, and we think that we're making a difference within the healthcare community. Alicia Sutton: That's fantastic. Rob, thank you so much for joining us today. 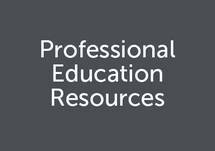 This has been the Alliance for Continuing Education in the Health Professions at their annual meeting and it sounds like you are fitting right in. Thanks so much. Rob Lowney: Enjoy it and thank you for having me. Rob Lowney shares his experience in improving engagement in education and adding value across all stakeholders in CME. In this episode of Lifelong Learning, Alicia Sutton welcomes Rob Lowney, Principal and Managing Director of CMEology. 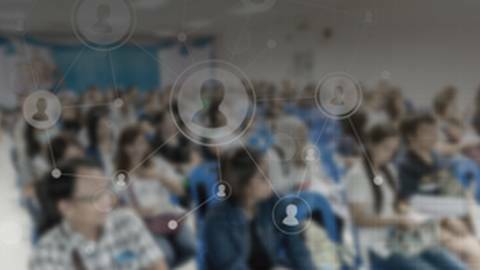 Rob showcases how CMEology's innovative methods improve engagement in CME which ultimately leads to improved patient care. In addition to improving engagement, Rob also shares how to add value across all stakeholders in CME, such as utilizing the arts and humanizing the education, quantifying the value of CME, research conveying improved patient health & changing performance, and multimedia education.